I’m absolute junk in the kitchen but I’m trying to improve. I marvel at the folks who go off recipe, creating delicious dishes by sight and feel. That’s not me right now. But I’m also not content simply to chop vegetables for somebody else. I love the processes in the middle – like seasoning and sautéing. I can use that process in lots of different recipes, extending it in lots of different ways. It’s the right level of technical challenge for me right now. In the same way, I’m enamored lately of instructional routines. These routines are sized somewhere between the routine administrative work of taking attendance and the non-routine instructional work of facilitating an investigation or novel problem. Just like seasoning and sautéing, they’re broadly useful techniques, so every minute I spend learning them is a minute very well spent. For example, Estimation 180 is an instructional routine that helps students develop their number sense in the world. Contemplate then Calculate helps students understand the structure of a pattern before calculating its quantities. Which One Doesn’t Belong helps students understand how to name and argue about the names of mathematical objects. I first encountered the routine “Two Truths and a Lie” in college when new, nervous freshmen would share two truths about themselves and one lie, and other freshmen would try to guess the lie. Marian Small and Amy Lin adapted that icebreaker into an instructional routine in their book More Good Questions. I heard about it from Jon Orr and yesterday we adapted that routine into our Challenge Creator technology at Desmos. We invite each student to create their own object – a circle graph design in primary; a parabola in secondary. We ask the student to write three statements about their object – two that are true, and one that is a lie. They describe why it’s a lie. Here are three interesting statements from David Petro’s circle graph design. Which is the lie? The shaded part is the same area as the non shaded part. If these were pizzas, there is a way for three people to get the same amount when divided. If you double the image you could make a total of 5 shaded circles. And three from Sharee Herbert’s interesting parabola. Which is the lie? The axis of symmetry is y=-2. Then we put that thinking in a box, tie a bow around it, and slide it into your class gallery. The teacher encourages the students to use the rest of their time to check out their classmates’ parabolas and circle graphs, separate lies from truth, and see if everybody agrees. Our experience with Challenge Creator is that the class gets noisy, that students react to one another’s challenges verbally, starting and settling mathematical arguments at will. It’s beautiful. 2018 Feb 6. I added eight more Two Truths & a Lie activities on suggestions from y’all! BTW. Unfortunately, Challenge Creator doesn’t have enough polish for us to release it publicly yet. But I’d be happy to make a few more TTL activities if y’all wanted to propose some in the comments. We just finished our midterms and I will soon be returning to exponential and logarithmic functions. I’d like to try this 2 truths and 1 lie with these types of functions. This would be a nice way to review the material before we venture deeper into these functions. Could you possibly make one? I love this workflow for STUDENTS. “Teacher dashboards” are awesome! My concern with “teacher dashboards” is that they might live in teacher devices and be viewed by teachers only… rather than also being shared with STUDENTS who can benefit from seeing what their peers are up to. I just gave the parabola challenge a go by launching it as the teacher, and also joining myself as two different students, so I could see what it’s like to be a kid who has both created a challenge AND played a challenge created by a peer. I love that students can scroll through their peers’ work the same way teachers can scroll through the work. POWERFUL. Kudos on timing too – quadratics are coming up in the Algebra 1 curriculum, and I can’t wait to give students this experience! I love the Primary one! This is a lot of fun! (Ture)The shaded part is the same area as the non-shaded part. Are we allowed to make the extra cut for this second description? For more TTL, if appropriate, I would like to have some of the graphs of the rational function, hyperbola, and transformations of trigonometric functions! If appropriate, maybe, instead of Ss make up their own graph, we, teachers can step in and control some parameters and eventually tell Ss the stories we want to tell. Rational functions- I found my Ss having trouble understand the concept of “unknown,” “limit,” “turning points” and the “dominant term.” It would be great if we can have one addressing the asymptote and the behavior of the function as it approaches the asymptote/end behavior/turning points. Hyperbola- I get frustrated when my Ss trying to memorize the facts and formulas. It will be very helpful if we can have one addressing the fact that d1-d2 remains constant and showing them why the (x-h)^2/a^2 term goes first when we have a horizontal hyperbola. Transformations of the Trig functions- I see my Ss having trouble identifying which variable controls what, especially the period. A lot of them have trouble understanding what one cycle is and how it is reflected from the unit cycle. This one is less troublesome than the other two above. I love TTL in the way that it clarifies the concept that is not easy to tell. I love the fact that we can put two confusing but opposite facts together and when Ss think, it increases the chance for them to understand. To me, this year, I struggle to explain the fact that the function will look like Asymptote when it approaches asymptote and the fact that the denominator equals to zero, the whole function will approach infinity. On top of that, the direction when the graph approaches the infinity is very challenging for me to explain. I know I will have to understand these concepts more, learn more about these concepts and brush up my teaching skills by learning and practicing so at the same time I am wondering if having TTL activities for these concepts may help my Ss clarify. I am not sure TTL is the right solution to my struggling. I imagine that it may help with the fact that two confusing facts can be display together. I even think that maybe just teacher writes questions for Ss. (Lie)The shaded part is the same area as the non-shaded part. Love this idea! Another content I would love to try it with would be graphs of systems if Equations. Encourages review of slopes, intercepts, Parallel Lines, whole also developing new concepts of infinite/no/one solution. Thank you very much! This will be a fantastic way for my students to distinguished the “function that never ends.” Thank you very much for your time! For Secondary, I think ANY other types of functions would be great! I would love to see other conic sections. 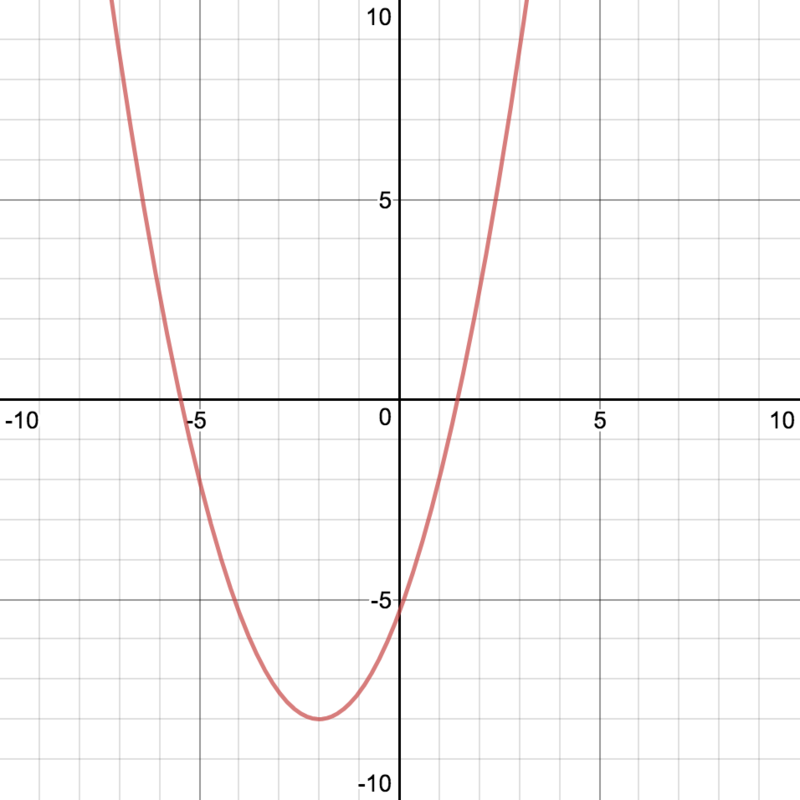 Graphs of rational functions lend themselves nicely to this approach: horizontal/vertical asymptotes (slant if so inclined); domain/range; rational/irrational roots; multiplicities of roots. Rational functions don’t get a lot of love for application, but I find them powerful tools for revealing the inner-workings of polynomials and operations with functions. I like to tell students that studying basic graphing strategies of rational functions is akin to med students working on cadavers. How about a geometry topic for TTL? Quadrilaterals comes to mind as I’m about to start that unit. It would be a great way for them to practice properties of quadrilaterals. Love this! How about a geometry topic for TTL? Quadrilaterals comes to mind as I’m about to start that unit. It would be a great way for them to practice properties of quadrilaterals. I don’t think I have enough space to list all the topics I could possibly use this for. The one I did in class was trig graphs of y=a*cos (bx) and y=a* sin (bx). We ran out of time in class, so having this digitally would help speed up the process and allow students to finish it at home. I love the primary application, and it got me thinking about all the ways I could incorporate TTL in my 5th grade math class. Shapes, parallel lines with a transversal with various angle pairs marked, sets/venn diagrams, and inequalities in regions are just a few to start with. I am eagerly anticipating being able to use this in the Activity Builder. How about right triangle trig? Could write ratios, use inverse trig, side lengths, angle measures and relationships, side length relationships… side names (opp, adj, hyp)..lots of vocab. Oh man! My kids and I would totally love to be able to play this with the six basic trig functions, power functions, exponential functions, rational functions, conic sections, circles, quadrilaterals, angle pairs, transformations, and the list goes on and on! Thank you for bringing us wonderful opportunities like these. Like other comments, I’m imagining one for every bundle that’s on teacher Desmos at the moment. And I can’t wait to use it on Activity Builder myself when it’s ready to go. This activity looks awesome! The first thing that comes to mind that I thought would be good for this activity is box plots. It is always challenging to get my students to think and talk about box plots in an effective way. Thanks for marking Desmos a great free tool for students! An important feature of instructional routines is that they provide structured ways for students to engage with each other, the mathematics, and for teachers to engage with their students. Magdalene Lampert, et al. have a terrific paper that describes instructional routines (activities) in more detail called “Using Designed Instructional Activities to Enable Novices to Manage Ambitious Mathematics Teaching”. From the way you’ve described “Two Truths and a Lie” it seems like Desmos specifies how students are to engage with the mathematics and to some degree how they engage with each other. How do you see teachers, routinely, engaging with students during this routine? FWIW, one key distinction between Contemplate then Calculate and the other instructional routines you mentioned (and most other instructional routines) is the deliberate embedding of accessibility strategies to increase the access to the mathematics for all students, without needing to reduce the goals for student learning. See this page on our curriculum website for more detail on these strategies. It would be amazing if there was some way to include some of these accessibility strategies into the Two Truths and One Lie instructional routine. How about situations describing an equation? Y=-2x+34 (I’ve got 34 teeth and I lose 2 every year, I owe my brother $2, but I make $34 every time I shave the dog, and the spaceship is 34 miles in the air and falling 2 miles/minute). Or backwards a situation and 3 equations that could describe it (inc. standard form or other ways to look at things. I.e. I write the equation ($40 for a housecall and $20 per hour) as a positive, how much I owe, but you write it as negative, how much your account goes down. Both are correct. Please please please – some middle school ones! A scatterplot with statements about the correlation, equation for the line of best fit, and an extrapolated prediction. A graph of a linear system, angle relationships, geometric transformations, the list can go on! 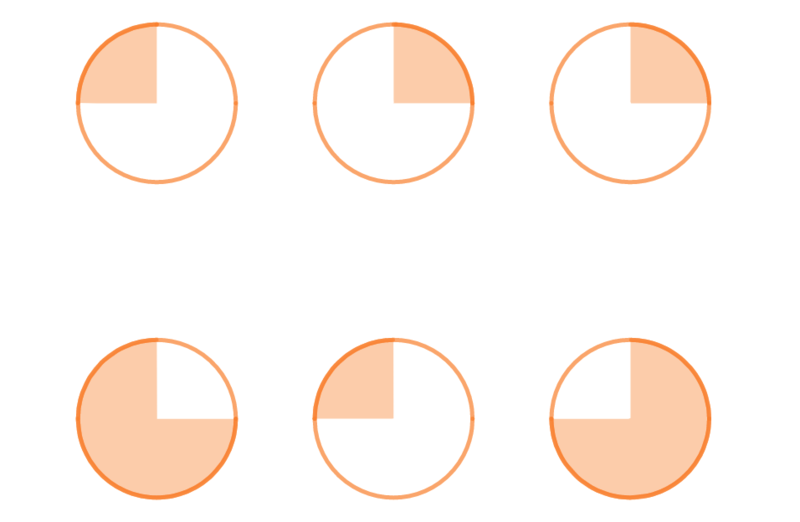 Within Desmos, you called the activity, “Two Truths and a Lie (Primary).” Would you consider a name change to “Two Truths and a Lie (Circle Graphs)”? I use Desmos activities with students and teachers in adult numeracy, where we like to keep the focus on the content adults need, without reminding them what level they are working on. I’m still figuring out how to use Desmos in my classes. Which activities work well for you? Sometimes, I find that the “logical conclusion” or “clear pattern” is not logical or clear to all my students. I’m not sure if I’m not introducing it right or if the mixed levels in my classes mean that some students just aren’t ready for a given activity. Super helpful comment, Connie. I renamed the activity like you suggested. I agree it is not just for primary students. Yes, it’s more more primary than the others, but is a great intro for anyone! I had an idea for one about a 30-60-90 triangle where the two truths were that all three angles had three prime factors and that the ratio of the lengths of the shortest leg to the longest side was 1:2, and the lie was that smallest angle was exactly three times smaller than the second smallest angle. How difficult would it be to create one for normal distributions? I’m thinking there are lots of opportunities for “lies” with z-scores, percent above, percent below, percent between, although I’m sure you’ll take it beyond what I can imagine. All you! Quadratics w/ a horizontal & vertical selection option. Is there a way to change the trig graph to degrees? My courses all use degrees rather than radians, so I really need one with at least 360 degrees visible. 1080 degrees visible would be ideal, but maybe too small. @Sharee, done. The trig graph is in degrees. See if that works for you. The new version is perfect! Thank you so much! I can’t wait to do trig graphs again with my class and use this. Could we have exponential graphs as well as log graphs please? Maybe a choice on the log graph one, like the choices on the parabola one. I teach fourth grade and will soon be teaching additive angle mesuarements. I would love to see some TTL related to angles measures and their relationship. This is actually how I do my tests, although not so much Two Truths and a Lie, as At Least Two Truths and One Or More Lies. It’s very effective as an assessment format because kids can’t eliminate their way to a right answer, but can identify correct or incorrect answers and get credit for all they do know. So marking something false is just as many points as marking something true. Looking forward to the open template version! Thinking this would be great with a WODB activity launch screen and then have student create scientific notation and/or exponent rules 2T1L challenges. Wow this seems like a fun activity! I would adjust it for a high school algebra 1 class. 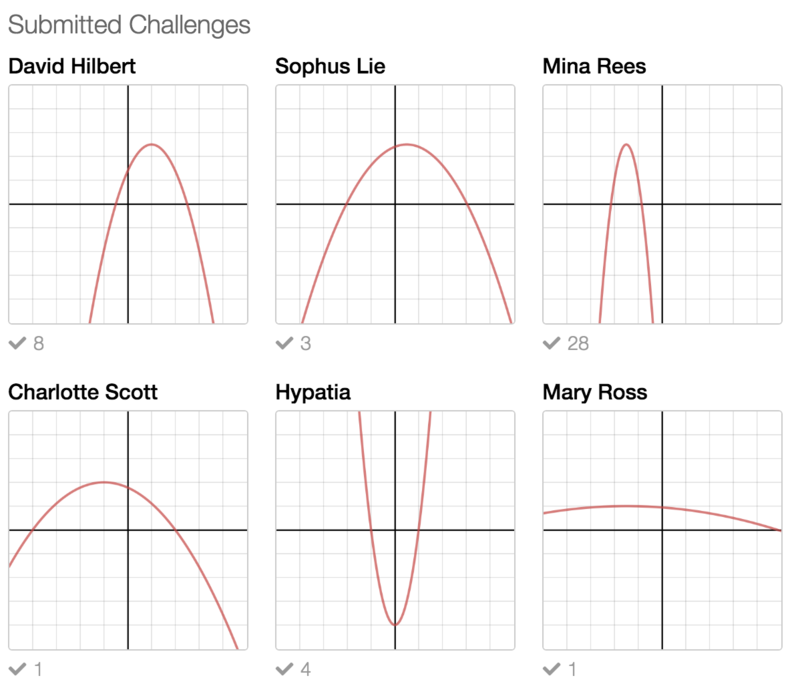 I absolutely love this Desmos activity with the challenge creator. Is there anyway you could create one with line segments for algebra 1? I would love to be able to ask things with domain, range, slope, x-intercept, and y-intercept for my students. I love this idea, Charell, and that a Line Segments TTL activity now lives, thanks to Dan! Having an intro screen to nudge students toward concepts of domain, range, and intercepts is a nice touch. I wish there was a way for students to, say, click on an endpoint to toggle whether it’s an open or closed point, with the ideas of domain and range in mind. Maybe the intro screen could have one of the endpoints be “open” as well? Nice! Thanks, Charell, for the suggestion and Cathy for the modification. One of the points is now open. Graphing Polynomials with movable x-intercepts. Allow for multiplicity of roots. Be able to graph up to quintic functions. Idea would to focus on topics such as multiplicity, end behavior and connection of roots to degree of polynomial. I’m working on 2T1L with sts today for trig graphs. We only do y=a*cos(bx) or y=a*sin(bx) in my current course, and the activity doesn’t allow for cosine graphs of that form. Is it possible to make the orange dot able to move from side to side? Right now the students are just doing sine curves.